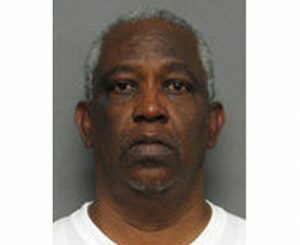 Corrupt Court Officials in New Orleans? We have posted many fraud stories about New Orleans. The “city that care forgot” might be better labeled the “city that forgot to care.” Corruption is rampant in the city. New Orleans Medicare fraud rates are some of the highest in the nation. Now it appears that even city officials are involved. Make that court officials. This post doesn’t have much to say about Medicare fraud or whistleblower awards. But telling this story is important. It helps folks understand why corruption and Medicare fraud is so widespread in certain areas of Louisiana. If you can’t even trust the courts, who can you trust? According to court records, Rufus Johnson was the unlicensed operator of a bail bond business. Of all places, Johnson was running his operation from the courthouse. Helping him were several court clerks and a deputy assigned to the city’s central lockup facility. Beginning in 2002 (if not earlier), Johnson began helping people get out of jail. In return he was being paid cash. Bail bondsmen are required to be licensed in Louisiana like most states. Rufus wasn’t eligible for a license, however, because he was a convicted felon and because a previous bail bond license was revoked by the state in 1989. That Rufus didn’t bother getting a license was the least of his problems. Prosecutors say Rufus paid court clerks to release inmates without a bond, alter court and bail records and even make false certifications on bail documents. Sometimes Johnson had a deputy at the lockup create false computer entries to make it appear that a judge had called in to lower an inmate’s bond or even release the inmate without bond. All these court and law enforcement personnel were on the take. What all this meant is that some prisoners were improperly released. Some of these are folks that the courts made a decision to detain. Many were probably dangerous. If you had enough cash, Rufus and his cohorts would simply change the paperwork and get you sprung from jail. The government is demanding that Rufus forfeit and turnover $1.2 million. It sounds like he made out like the bandit he is. And the court clerks? Court records say that one sold her soul for a measly $460. Give up your future, commit a felony, lose your job, lose your pension and let a potentially dangerous person out of jail… all for less than $500? The price of corruption is evidently quite low in New Orleans. Johnson began to grow suspicious that the authorities were on to him in 2010. Instead of coming clean, he instructed others how to lie to FBI agents. (The Justice Department say he lied himself to agents during two different interviews in 2012.) Shortly thereafter he was arrested. In an interesting side note, Johnson was given bail. His freedom was short lived after prosecutors convinced a federal magistrate to revoke his bail for making threats and badgering potential witnesses. U.S. District Court Judge Ivan Lemelle sentenced Johnson last month to 6 years and 2 months in prison. When released he must serve three more years on probation and pay a criminal forfeiture of $1,200,000.00. The court refused Johnson’s last minute change of heart. Johnson has now appealed. We think it is safe to say that the court will not allow him to write his own bail bond or phone in a release order! In a shocking scheme of this magnitude, Johnson wasn’t the only person charged. His fraud resulted in several others being charged and countless inmates being improperly released from jail. What are the takeaways from this story? Fraud is everywhere. In certain cities such as New Orleans, Detroit and Miami, it is especially high. Houston, Philadelphia, Chicago and Brooklyn are way up on the list too. When crime becomes so bad that it infects the court system, expect it to be rampant among those companies doing business with the government. Congress enacted the False Claims Act, a law that pays whistleblower awards to those who step forward with inside information about businesses or companies defrauding the federal government. The Louisiana Legislature passed the Medical Assistance Programs Integrity Law which pays awards for information about fraud involving the state funded Medicaid program. Both laws have tough anti-retaliation provisions that can pay double damages, lost pay, lost future pay and benefits and even pay for one’s lawyer. The anti-retaliation provisions are in addition to the whistleblower awards. Fraud against the government can take many forms. In Louisiana, we have seen many cases of Medicare and Medicaid fraud, companies misusing minority owned or disadvantaged business designations, and companies that over bill the government for construction and roadways. We prosecuted one company for mislabelling steel as made in America. In the foreign made steel case, a Wisconsin company was supplying steel products for the expansion of the New Orleans street car network. Federal law says that steel used in government funded construction and transportation projects needs to be made in the United States. The company was falsely labelling Chinese and Turkish steel as U.S. made. If you have inside knowledge about fraud involving companies doing business in Louisiana, visit our New Orleans or Louisiana whistleblower pages. We can help you stop the fraud, protect your rights and help you get the maximum whistleblower awards allowed by law.